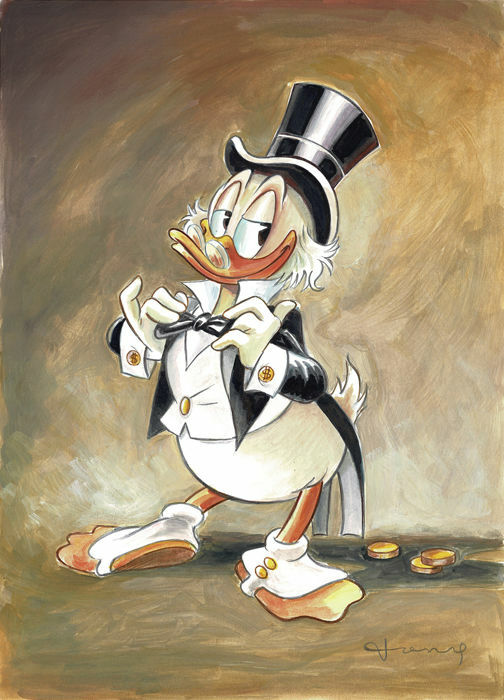 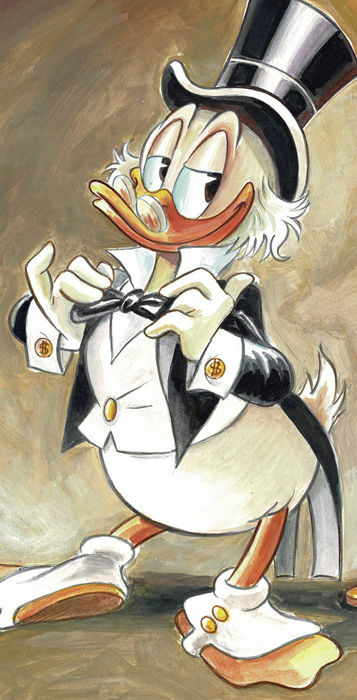 This stylish original painting of a worried Uncle Scrooge sat on his wealth has been created by Tony Fernandez as a tribute to Carl Barks. 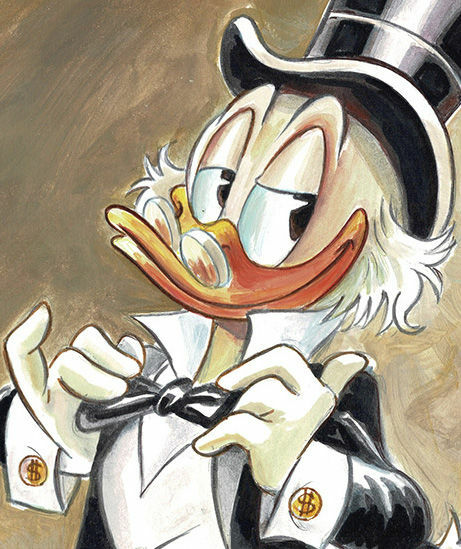 This vintage piece has been created using acrylics on cardboard by one of the greatest and most beloved living Disney artists based in Europe. 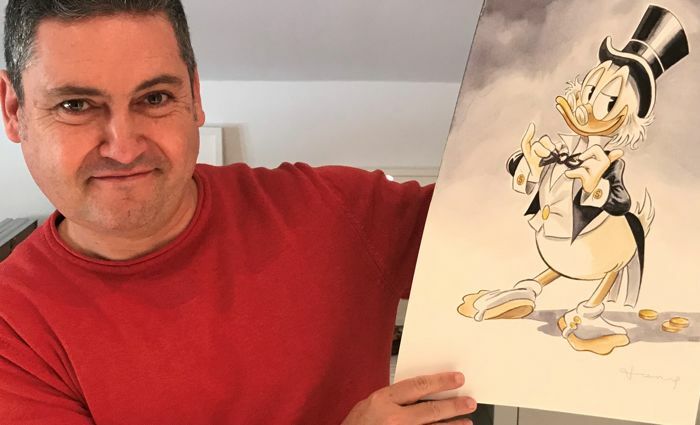 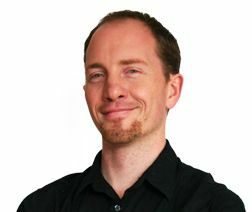 Tony has been drawing for more than 25 years for Disney Studios around the world. 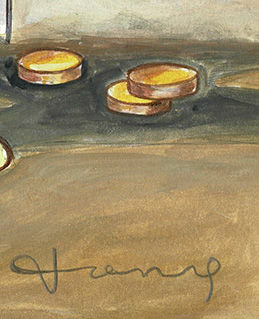 This excellent acrylic artwork is hand signed by Tony and includes the Certificate of Authenticity.